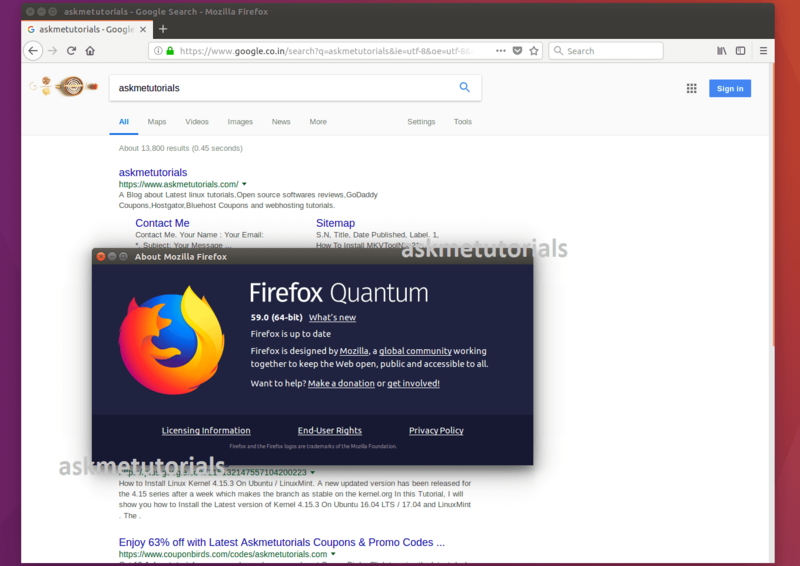 In this Tutorial I will show you how to install Firefox 59.0 on Ubuntu 17.10 / 16.04 LTS /14.04 LTS,LinuxMint 17,Fedora 27 and CentOS 6.X / 7.x. What's New in Firefox 59.0? So how to install Firefox 59 on Ubuntu / LinuxMint / CentOS?